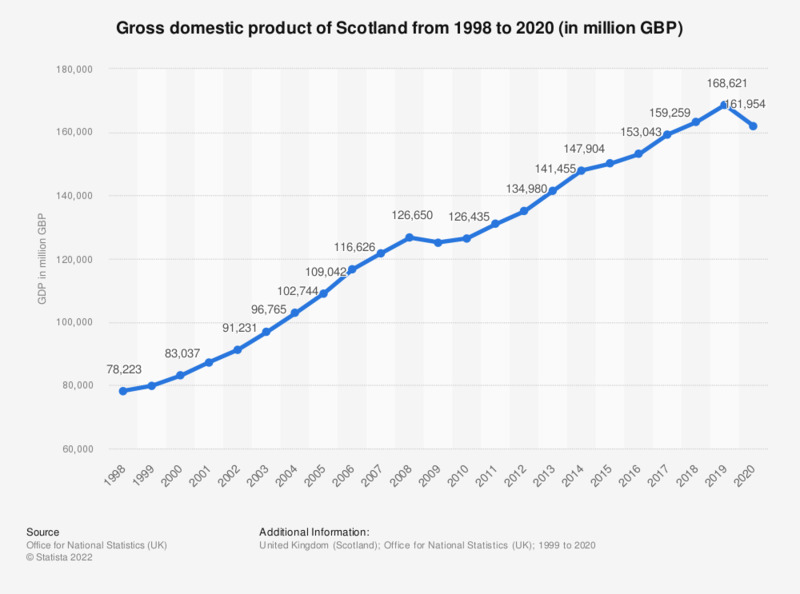 This statistic shows gross domestic product (GDP) at current prices of Scotland from 2000 to 2017. From 2000 to 2008 the gross domestic product at current prices increased each year. There was a decrease in 2009, but from 2010 to the end of the period, the GDP increased annually.